Dubai South (formerly known as the Dubai World Central) is the next upcoming zone in the emirate that is expected to support a number of activities including logistics, aviation, commercial, exhibition, humanitarian, residential, and other related businesses around Al Maktoum International Airport. 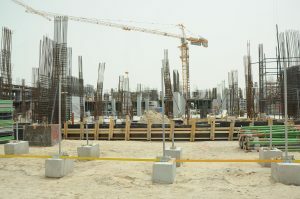 The construction area is 140sqkm close to the Expo 2020 site and is estimated to be the future home of 900,000 people. To support the growing and the expanding development, one of Dubais most sought-after developers, Emaar Properties, announced a huge residential project, Emaar South, featuring six districts anchored by an 18-hole championship golf course, a number of large community parks, dedicated retail precincts, and three- and four-star hotels. Emaar South offers a mix of tiered townhomes, townhouses, villas, and apartments. 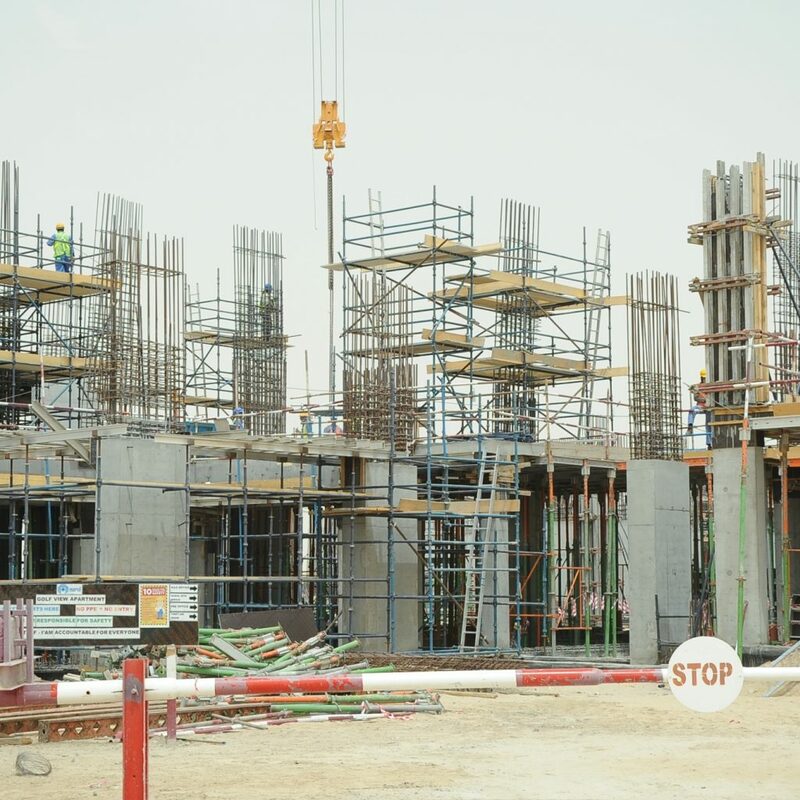 Work is ongoing at a rapid pace with Emaar making significant progress on various components including road and infrastructure work. Development of all the residential components launched are also progressing at a fast pace with Urbana 1 tiered townhouse community readying for handover in the third quarter of 2019. Urbana 2 and Urbana 3 homes are also scheduled to be delivered by end of 2019 in addition to the Golf Views apartments. The Golf Links villa community is scheduled for delivery in the first half of 2020, just in time for the Expo 2020 Dubai. Work on the sprawling green district park and the vast landscaping will start soon as well as that of the championship golf course. The main spine of the development, billed to be a boulevard, will also take shape shortly. The 132kV substation that will serve the community will also be finished next year. Borno says: Phase 1 includes Urbana 1, Urbana 2, and Urbana 3; Saffron townhouses; Golf Links and Golf Views apartments; retail centre; main boulevard; District Park and all the associated landscapes; the clubhouse; utility yard; and the three major holes of the golf course. In any brownfield or greenfield site, the first two years is majorly getting all the infrastructure done. The masterplan officially broke ground just beginning of 2017. Different packages have different completion dates; in terms of buildings works, they are about 40% complete. Borno also claims that the developer always supports all its products with major amenities. Within Phase 1, we are building a retail centre, which will have a supermarket, nursery, bank, and all the necessities that any residents will need day to day. We will also have a school and a mosque that will be constructed very soon. The Golf Links neighbourhood will offer only four- and five-bedroom golf villas that overlook the greens, have extensive backyards, and assure a serene lifestyle away from the bustle of the city. The G+1 four-bedroom villas in Golf Links have a built-up area of 275sqm while the five-bedroom homes are spacious at 356sqm. Featuring living and dining areas, open-kitchen with built-in cabinets and breakfast counter, walk-in wardrobe cabinets in the master-bedroom and built-in wardrobe cabinets in all others, the residences will have covered parking for two vehicles. Emaar South is uniquely positioned at the crossroads of Dubai and Abu Dhabi, and a short drive from Jebel Ali Free Zone (JAFZA), the home to thousands of global enterprises. Its central location brings assured long-term value for customers  through strong returns on investment and rental yields. Its diverse residential offerings ensure that families seeking a getaway in the heart of new Dubai will find something to suit every lifestyle. Emaar South promotes relaxation, play and the outdoors, and is set among a network of parks and green spaces in addition to the soothing fairways of a championship golf course.